Palmer Johnson Rolls out a true Superyacht! Keeping up the excitement immediately after the Cowes Week Regatta in August, was the start of the Sevenstar 2014 Round-Britain-and-Ireland Race, with the fleet starting from the Royal Yacht Squadron line, Cowes, crossing the line from west to east. The event, which marks the first time that so many of the Volvo Ocean Race 65s have raced against each other, was originally due to start a day earlier, at midday on Sunday 10th, but was pushed back due to stormy weather blowing in from across the Atlantic. And despite the warmer and more settled conditions that day, the race route was reversed, which means that the fleet had to sail anti-clockwise around the isles, rather than the traditional clockwise. All eyes were on Musandam-Oman Sail (The Sultan of Oman’s favourite toy) right from the start. 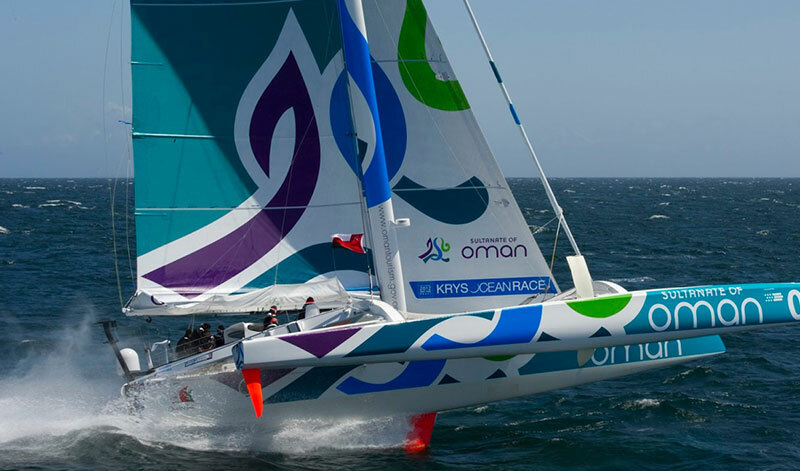 The trimaran’s three hulls, sailed by three expats and three Omanis, were lightening quick, screaming along at 30 knots and hell bent on breaking the previous world record of three days, three hours, 49 minutes, 14 seconds, which was set by Frenchman Loick Peyron’s 140ft trimaran, Banque Populaire 5, in 2011. 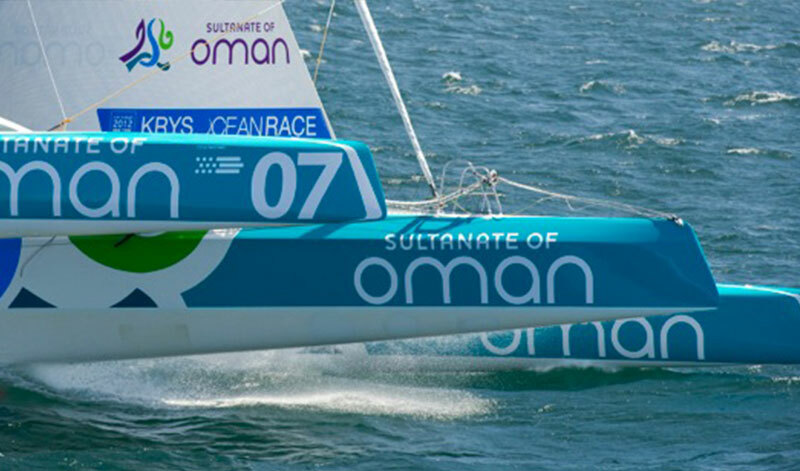 Sidney Gavignet and the crew of Musandam-Oman Sail, a MOD70 trimaran, crossed the finish line of the 2014 Sevenstar Round Britain and Ireland Race off the Royal Yacht Squadron, Cowes, at 12.42.36 BST on Thursday 14th August 2014. 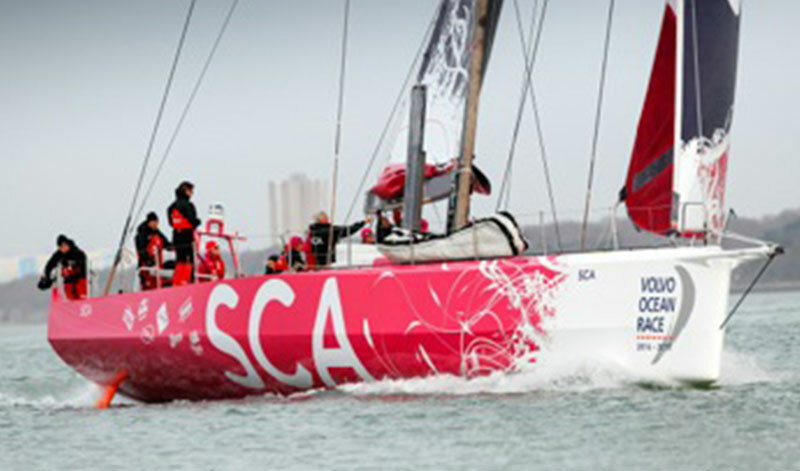 This gave them an elapsed time of 3 days, 3 hours, 32 minutes, 36 seconds and, subject to ratification by the World Speed Sailing Record Council, a used Outright World Record for the Round Britain and Ireland course and a used race record for the Sevenstar Round Britain and Ireland Race. 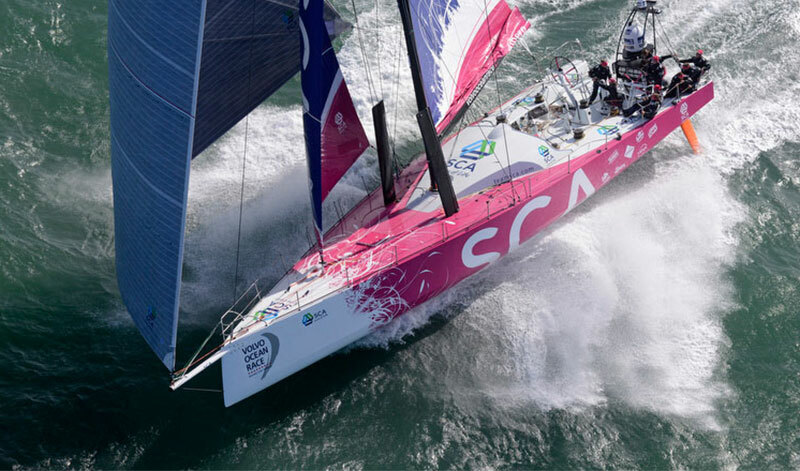 “Records are there to be broken and it would be an honour to be bettered by such a great team,” Loick Peyron told the organisers Royal Ocean Racing Club before his record was broken. Volvo 65 skipper and world circumnavigation sailor Sam Davis and her all-female crew on SCA were lying fourth in the 28-strong fleet when we wrote this report. For the rest of the fleet including monohulls in the IRC 1, 2, 3 & 4 categories they may be at sea for over a week to slog around the course in all kinds of unpredictable conditions for the month of August, and not home and dry in 3 days like the super fast trimarans can be. Designed and maintained by the MedBerths Team. All comments and contributions gladly accepted.